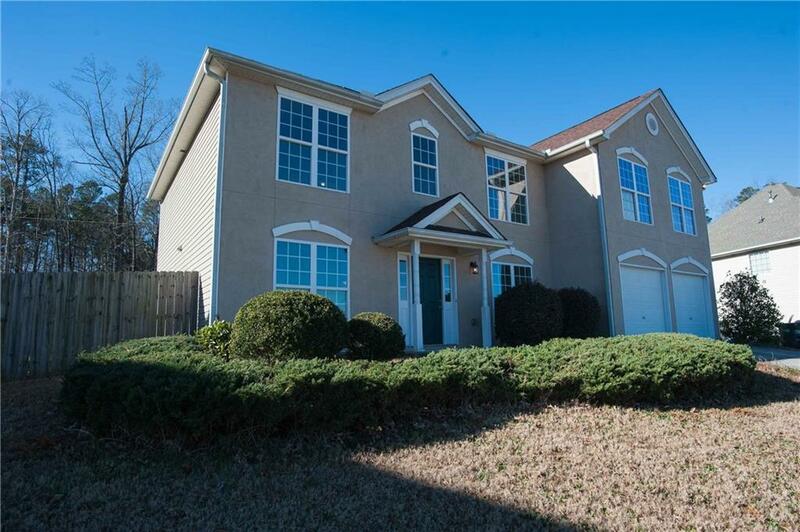 Very Spacious Home Near Downtown Lawrenceville w/plenty of shopping & dining. Freshly Painted Interior w/ New Carpet Throughout. Traditional Floor-plan looking for a few updates. Very large Kitchen w/ Breakfast area, Dining Rm, Front Rm for Office, Great Rm w/Gas Fireplace,and Bedrm w/ Full Bath on the Main. Upstairs has 4 Bedrooms w/a Master Suite that has room for sitting area and two King size beds.Must See! Oversized Secondary bedrooms & Loft area. Private Fenced in Backyard & Covered Deck area to enjoy Nature. Seller is offering $2500 toward CLOSING COST. Directions: I85 To Ga-316e To Lawrenceville. Take The Ga-120 Exit From Ga-316e, Slight Right Onto Ga-120 E/Duluth Hwy, Continue To Merge Onto W Crogan St, Turn Right Onto Paper Mill Rd, Turn Right To Stay On Paper Mill Rd, Turn Right Onto Paper Creek Dr SE And Home Will Be On Right 1/2 Mile Down.